David Cameron is appalled at what Colonel Gaddafi has been doing in Libya. But it appears that what he is actually doing is sealing his own fate – the inevitable end of his regime. New psychological research shows that when people are faced with a choice, they inevitably focus on the good things in the alternatives. By raising the so-called negatives in democracy what Gaddafi has unwittingly done is also help people see the negatives in his own regime. According to the new study on choices, when people see the negatives in what might be the obvious choice, they can only see the positives in the alternative. For many in Libya the obvious choice may be the status quo, to avoid further bloodshed – and according to Gaddafi, to avoid the horrors of democracy. But what this choice does is reveal the negatives in the status quo and that allows people to focus their sights on only the positives of the alternative. 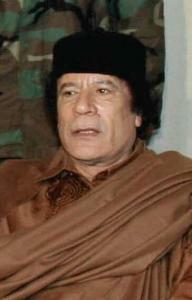 It means that the strategy which Gaddafi has chosen will inevitably lead to his downfall. He has sealed his own fate by inadvertently emphasising the positive side of the democratic way. When it comes to online choice, you can see the same thing happening. Take a look at a comparison website. You can see two mobile phones, say, and can compare the features of each one. But what that does is focus your mind on the positives of the alternative, even if the other phone is the obvious choice. The recent research showed, for instance, that when someone is asked to find a business phone and are told the obvious choice is a Blackberry, they go and choose an iPhone having focused on the non-business features, such as the design and the fun aspects (neither of which were necessary for their purchasing decision). You can use this psychological feature to your benefit on your own website. Give people alternatives – one of which is the “obvious” choice for their interest and one in which you rule out those benefits. In other words you prime people to focus on what the alternative does NOT have. But the reverse happens – they now only focus on the positive things, none of which may actually be involved in the “obvious” selection. It is exactly what Gadaffi has done – by trying to get people to think about the negatives of democracy he has made them only capable of thinking only about its benefits. On your website you can do much the same – rather like a magician, misdirecting people to make the choice you want them to make, instead of the obvious one. That of course is an ethical discussion you can have with yourself. But whatever side of the ethical argument you come down on there is no doubt that it will be less of a concern than the ethics of what some world leaders have been getting up to lately. Why is a military bank the best website in the world? A major survey has revealed that USAA tops the online customer experience league. But why? What has the EU done for the Internet? Remain or Leave? The EU has achieved several things for the Internet and put in place several barriers too.